A truly unique aged Artisan Gouda. 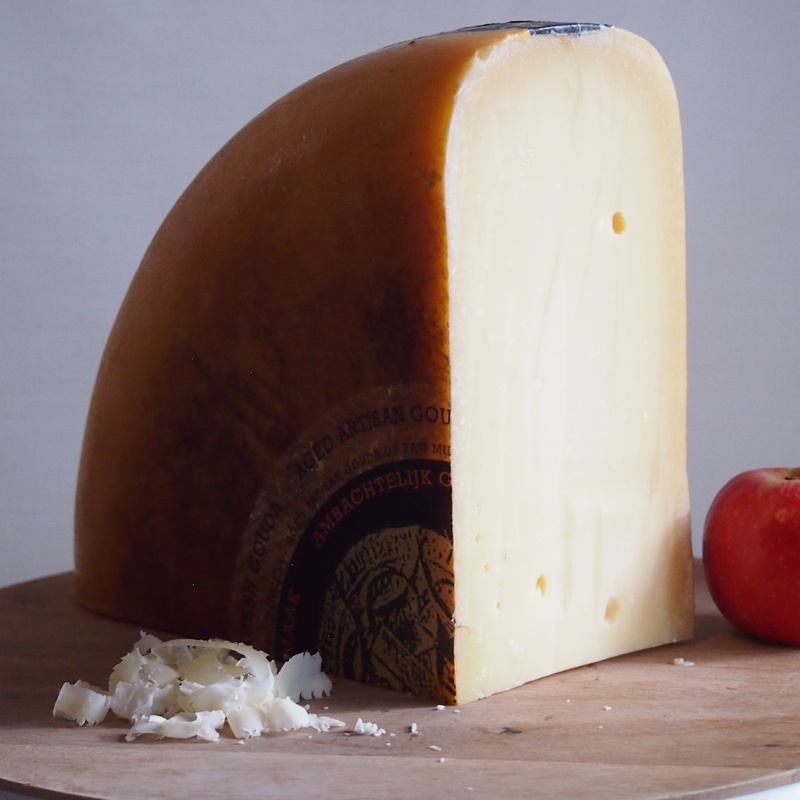 Only made during the summer season when cows graze on the open pastures of the Green Hart region, between the cities of Amsterdam, Rotterdam and Utrecht, this Gouda has a dense rich butterscotch flavour. “Opleg” meaning “aged” in Dutch, Boeren Goudse Oplegkaas is aged a minimum of 1 year, up to 4 years. As it’s a small production, this Gouda is part of the renown Slow Food Presidium. Categories: Cheese, Cow, Hard and Crumbly. One of our most popular cheeses! The combination of 3 milk types creates a unique flavour that is gentle, but incredibly rich and creamy. The texture is thick and fudgey, with some runny patches under the thin, white rind – absolutely divine!